Everyone has heard the clichés about Queensland politics: Queensland is ‘different’. It’s the ‘Deep North’. Its state elections exemplify Pineapple Party Time. But what if those clichés are in fact looking more like the state of affairs in the rest of Australia? Does the Sunshine State represent the new normal in Australian politics? Once, Queensland was seen as the land that time forgot, with a narrow economy based on agriculture, mining and transport – and conservative values. Then, from the 1980s, a transformation took place as the state modernised, entrenching democratic reforms and civil liberties. Yet now, in the era of Campbell Newman, the Palmer United Party and national politics that oozes alarmist populism, it feels like Queensland’s history of eccentricity and unrest has colonised the whole country. So how does Queensland both point the way forward and shine a light on the way we live now? 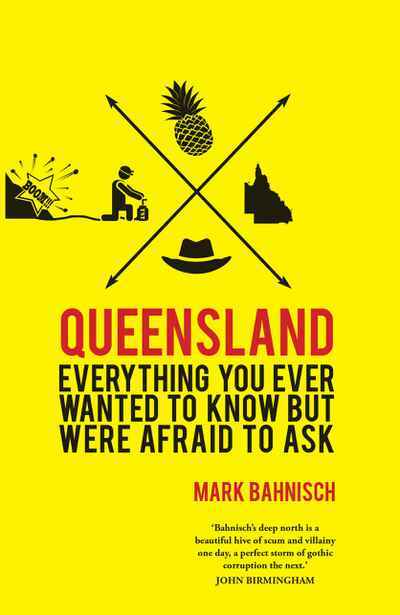 Political commentator and Queenslander Mark Bahnisch looks closely and boldly at the Queensland experience, from the Joh Era to the present. His must-read book reaches some surprising conclusions. Shortlisted for the Queensland Literary Awards Queensland Premier's Award for a Work of State Significance.